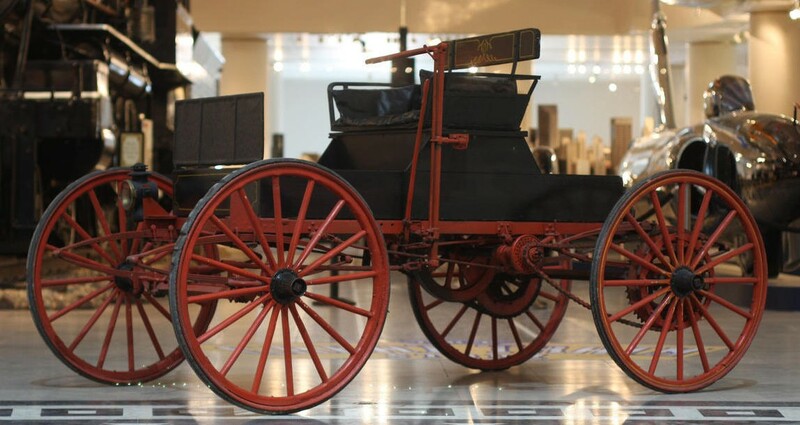 Having been built in Iowa, the Highwheeler design was probably apt, as it could be used by country folk to get around on the rough, unpaved roads of the day. The engine is a 14 horsepower flat-twin and the tires are solid. Costing $570 when new, this extremely rare example is expected to bring between $10,000-$20,000 at auction. This wagon is almost all-original (except for a very old repaint) and has been in the same ownership since the 1930s(!). It’s not running now but has in recent years and can probably be made streetable with relative ease. Click here for more info and here for more from this sale. Mail-order automobiles might seem like a ludicrous idea – but think about eBay. People buy cars, sight unseen, every minute online. So maybe Sears was just way ahead of the game. Between 1906 and 1911, you could order a variety of cars from Sears, Roebuck & Company catalogs. They were built in Chicago (where this car has spent a large part of its life in the Museum of Science and Industry) and this model is a high-wheeler. The increased ride height was great news for rural Americans whose roads were rugged. Buying from a catalog was probably their best bet as well – as they bought just about everything else from Sears too. The most this car has going for it is that it is an original Sears chassis. The engine is missing, as is the transmission, and the body is described as “not an accurate recreation.” That doesn’t make it that much less interesting. It could still command between $15,000-$20,000. Click here for more info. 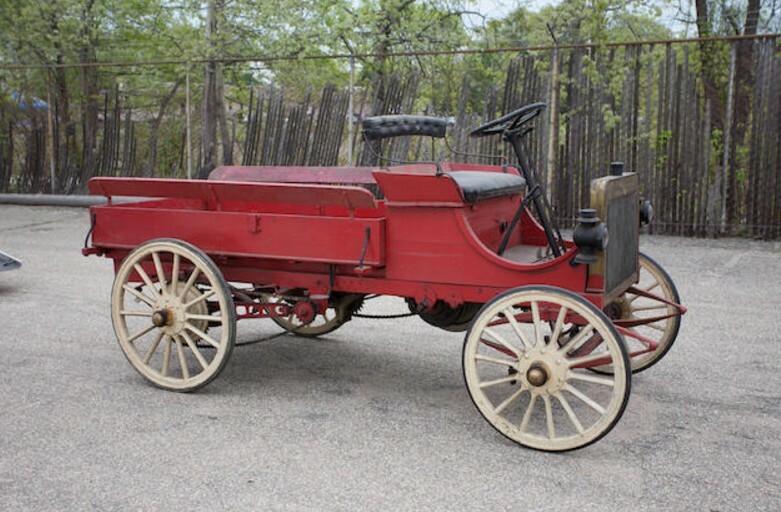 Here’s another Sears automobile – and this one’s a runner. It’s also a little more practical as it has a roof, four seats and a more traditional layout. But where’s the engine? It’s under the seats. It’s a 1.8-liter flat-twin making 14 horsepower. You’d think, with automakers chasing perfect weight distribution, that someone would try to mount a flat engine underneath the passenger compartment today – but “necessities” like air conditioning make that unlikely, and this car obviously didn’t have to worry about air conditioning. It’s chain-driven, has solid rubber tires and tiller steering. 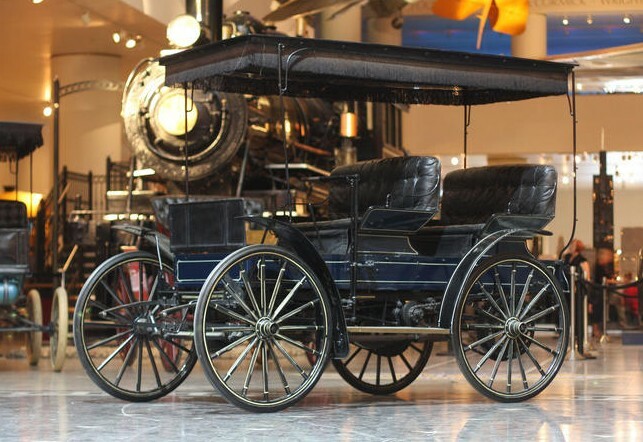 This was the largest car Sears built (and is the rarest today). They cost between $325-$485 out of the catalog. Every car they sold was sold at a loss – a solid business plan that might explain why only 3,500 Sears-branded motorcars were built in the five short years they were available. This car entered Chicago’s Museum of Science and Industry in 1972 and was sold from there by Bonhams in 2008. It’s actually a pretty cool car for as basic as it appears. It should sell for between $25,000-$35,000. Click here for more info and here for the rest of Bonhams’ awesome lineup at the Simeone Foundation. I’ll start by saying that this is listed as a “circa 1899” so I’m just going with 1899. 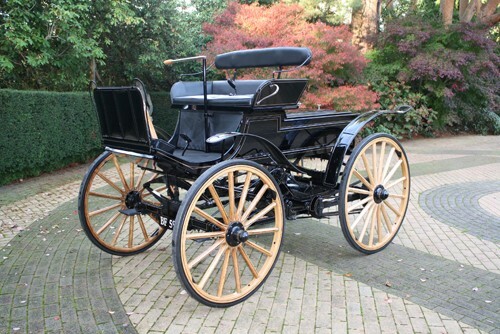 The Columbia Automobile Company was founded as a joint venture between the Pope Manufacturing Company and the Electric Vehicle Company in 1899. They offered electric and gasoline powered cars. 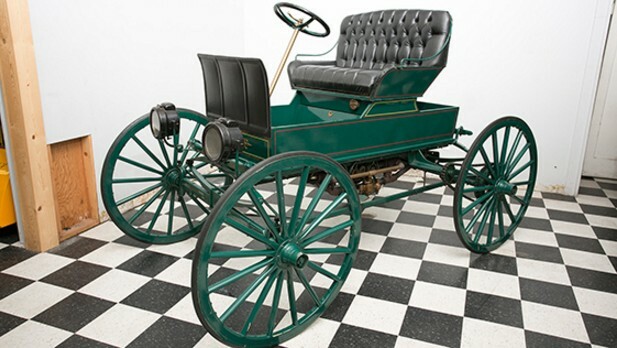 In 1904, Columbia offered 37 different electric cars and two gas-powered ones. By 1911, there were only two electrics while gasoline cars offered had risen to 10. In 1911, Columbia came under the control of the United States Motor Company – one of the first major “automotive conglomerates.” It over-expanded and failed in 1912, taking Columbia, one of America’s first manufacturers, down with it. This car is possibly from the launch-year of manufacture. It is powered by a 616cc two-stroke vertical twin-cylinder. It hasn’t run since 1986 but it’s still early and interesting. There aren’t many of them left and this is the only one in the U.K. It should sell for between $23,000-$27,000. 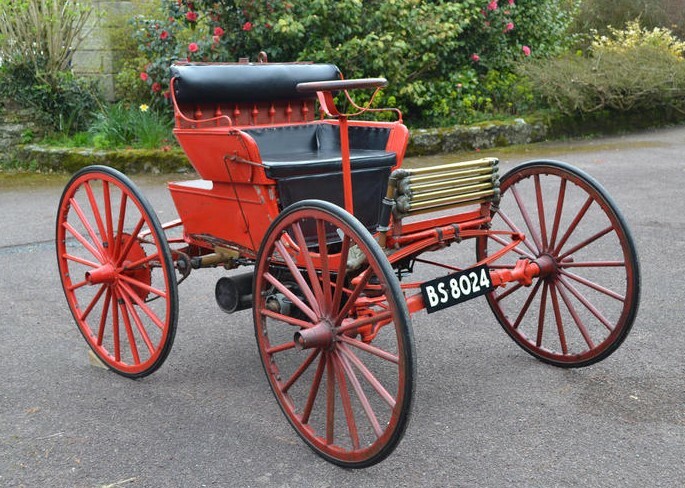 Click here for more info and here for more from Bonhams’ Banbury Run sale.